Hematologist Mark Crowther, MD, from McMaster University, presented results of the ANNEXA-R Trial of andexanet alfa (brand name AnXa), a reversal agent for three of the new anticoagulants. The ANNEXA-R study indicated that andexanet alfa is safe and effective in reversing rivaroxaban (Xarelto). In the trial, andexanet alfa completely reversed the blood-thinning effects of rivaroxaban within 2 minutes, and the effect lasted for 1-2 hours. Since ACC, the ANNEXA-A Trial results have been reported, which show that andexanet alfa produces similar results with apixaban (Eliquis). Andexanet alfa works to reverse Factor Xa inhibitors, so it is expected to work not only with rivaroxaban and apixaban, but also with the recently-approved edoxaban (Savaysa in the US and Lixiana in Europe), with which it is currently being tested. The FDA announced just hours before the start of the ACC conference that it had approved Boston Scientific’s Watchman device. In use outside the U.S. since 2005, the Watchman is placed into the heart’s left atrial appendage, where 90 percent of stroke-causing blood clots form in atrial fibrillation patients. By preventing those clots from traveling, the device is intended to serve as an alternative to anticoagulant drugs (blood thinners). In a surprising presentation, Dr. Rowlens Melduni, a Mayo Clinic cardiologist, reported that closing off the left atrial appendage during routine cardiac surgery may actually cause atrial fibrillation in patients who don’t already have it. Occlusion, or closing off, of the left atrial appendage is frequently done during atrial fibrillation surgery as it is expected to decrease the risk of strokes. The current procedure guidelines, 2012 HRS/EHRA/ECAS Expert Consensus Statement on Catheter and Surgical Ablation of Atrial Fibrillation, state that “when it can be safely performed, complete occlusion of the LA (left atrial) appendage should be considered” during surgical ablation of atrial fibrillation. 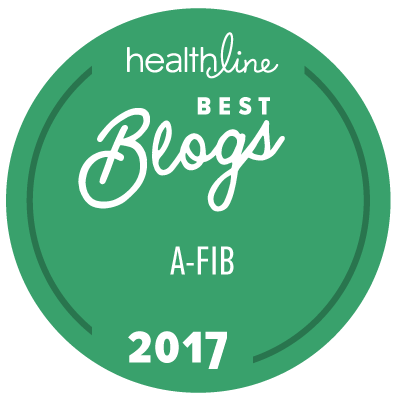 But Dr. Melduni’s study showed that among patients who had never had atrial fibrillation, closing off the left atrial appendage tripled their likelihood of developing afib without reducing their stroke risk. This is not what would be expected. Although not a randomized trial, the study did use propensity-score matching to even out imbalances among participants. Each patient who received surgery to close the left atrial appendage was matched across 26 variables to a patient who did not have surgery. Melduni said the study of 10,633 adults from the Mayo Clinic cardiovascular surgery database is reason to conclude that anticoagulant medications should remain the standard approach for preventing strokes in afib patients. Carola Gianni, MD, from the Texas Cardiac Arrhythmia Institute at St. David’s in Austin, presented evidence that almost one-fourth (22.4%) of afib patients who have the Lariat procedure to prevent afib-related strokes develop leaks. Even worse, two patients in the study had strokes. Some of the leaks happened as long as 6 months or more after the procedure. The significance of this finding is not yet clear, but the concern is that blood clots may escape from the left atrial appendage that has been closed off by the Lariat device and lead to strokes. The study also showed that 3D TEE (transesophogeal echocardiogram) is highly effective for discovering small leaks related to the Lariat device. How Much Afib Is Required for Blood Thinners? A frequent topic at ACC was the question of how much atrial fibrillation is enough in order to put a patient on blood thinners as protection against strokes. We’re hearing more and more doctors say that as little as 6 minutes of afib is enough.